At a national symposium on 'Law and Citizens', organised by Swaraj Abhiyan in New Delhi, today, advocate and social activist, Prashant Bhushan called for two full-time bodies, on the lines of the Public Service Commission, for the purpose of recruiting Judges to the Lower and Higher Judiciary. These two full-time bodies could be called Judicial Service Commissions (JSC), and entrusted with the task of recruiting Judges, he said. Prashant Bhushan justified the JSC for the Higher Judiciary, as the current Collegium system, in his view, while ensuring independence of judiciary from the executive, has given rise to nepotism. 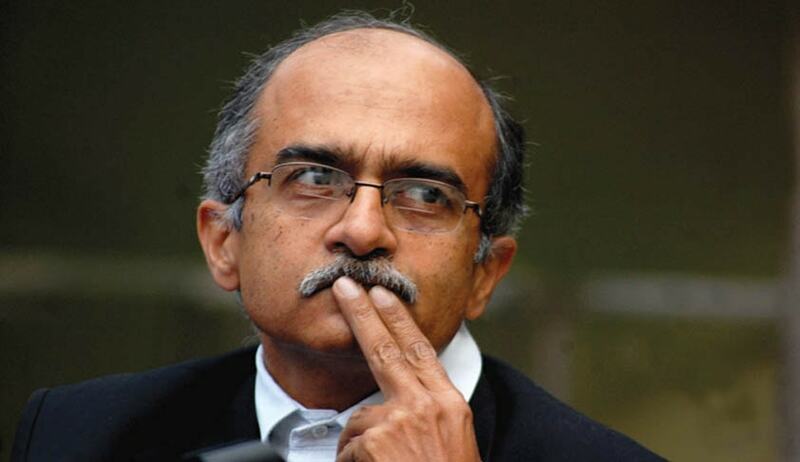 Prashant Bhushan also called for establishing a Judicial Complaints Commission, (JCC), another full-time body, as an alternative to the current impeachment mechanism, to remove Judges from the Higher Judiciary, facing allegations of corruption and misconduct. Bhushan claimed that the JCC has become imperative, as the in-house machinery, envisaged by the late Chief Justice J.S.Verma, does not seem to take action against any erring Judges. Narrating his experiences with the impeachment process to remove erring Judges, he said that Members of Parliament hesitate to sign impeachment motions against Judges facing allegations backed by evidence, unless they become public scandals, and a huge controversy reported by the media. It is because the MPs themselves are afraid to take on the Judiciary, as they think that some of their own alleged scams, could come under scrutiny by the Judges at some stage, and as members of the political class, they may be at the receiving end of the Judges. Taking the recent case of release of the former Member of Parliament, Mohd.Shahabuddin on bail, he said the Judge who granted him bail, is not criticised because of the fear of contempt of court law. The Patna High Court Judge, Justice Jitendra Mohan Sharma had on September 7 released Shahabuddin on bail, citing a six-month delay in his trial. The Supreme Court is likely to hear two appeals against his release on bail, one filed by the Bihar Government, and another by Chandrakeshwar Prasad, whom Prashant Bhushan represents as counsel. Yogendra Yadav, who also spoke on the occasion, referred to how the States are blatantly not complying with the Supreme Court's May 13 judgment in the Swaraj Abhiyan case, which carries several directions to the authorities to provide relief to the drought-affected people in several States. He alleged that not even one State has so far implemented the universal Public Distrbution System, as directed by the Supreme Court, in the drought-hit areas. He also disclosed that although the Supreme Court had directed provision of mid-day meals for children during the summer vacation, in all the States, many States evaded compliance with the order, claiming that they don't have any drought. Similarly, while the Supreme Court has directed the States to stop loan recovery from farmers in the drought-affected areas, and reschedule the recovery of old loans from them, by giving them more time to return the loans, and this has been confirmed by a circular issued by the Reserve Bank of India, Yadav alleged that the reports from his volunteers suggest that this has not been complied with by many States.